It’s been a week and it looks like I’m going to post around once a week in the summer. Yikes! I gave my living room another little makeover which was prompted by my summer wardrobe. I’ve really been into wearing neutrals. Lots of linen and white! There is just something about this that represents summer, beach and sun about this. So I de-colored my favorite living room area and let our garden greenery speak for itself. I love all the ferns and leafs we have in our garden right now. So what do you think? Looks like summer right? And if you are new around here and want to know what my living room looks like usually, then you can click HERE, HERE and HERE. With all that color, it sometimes feels refreshing to just take it out. Which one is your favorite? I love switching up my living room. my fave is 2 or 3- that pillow combo is my favorite! 🙂 but i love it in all renditions and i love that easy changes totally change the look. Thank you Cassie, I love playing with my pillows. I just LOVE your living room. Great idea to use ferns – totally going to do that! This is fabulous!! I love the way the black and gold pop! It’s clean, classic and elegant. Wow! It kinda looks like a totally different space. So comfortable and chic! Thank you! I usually always love color but it started feeling so busy to me and that’s why I really like no color in it for a little while. I can not pick a favorite. I love them all…… each and every one. I know that you like the change to this new one & I do too, but can’t pick a favorite, I just can not. I loved your coi pillows when you did the new patio……. sigh, I just love all of your styles. Love those table lamps, well again……everything. I really love your gold striped bathroom, but by the time I get it copied (IF), you will have changed it five times… I am so slow. ooh, I love the little collage where you can see all the different versions! 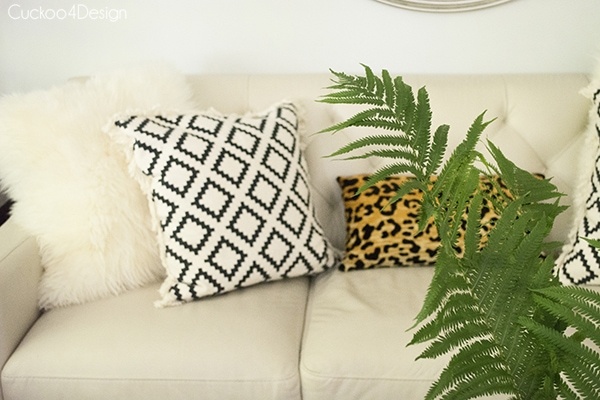 And if I didn’t say it on instagram, I’ll say it here: love those koi pillows! Have two questions about your living room. 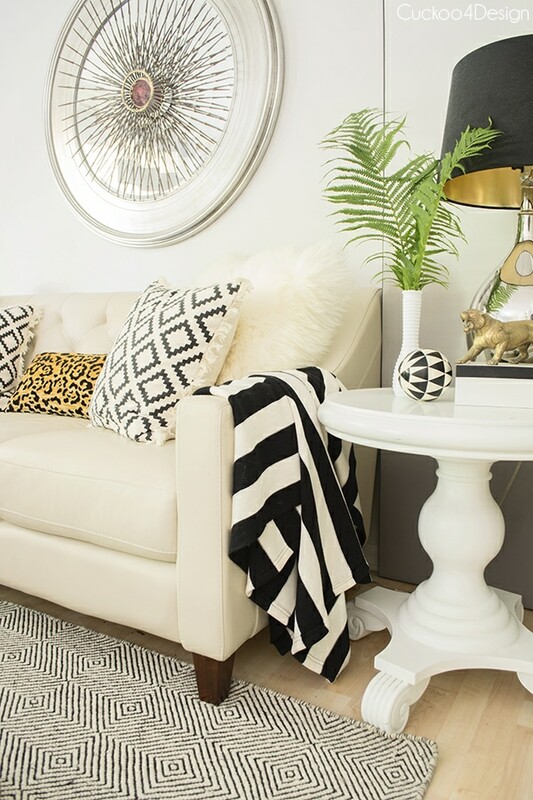 Did you paint the white round end table…and if so what kind of paint & what color? 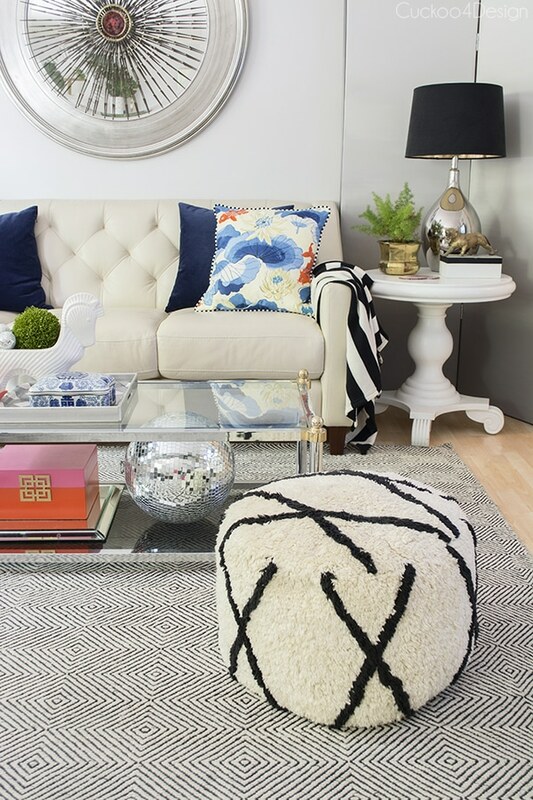 I love your rug…..would you share with me where you purchased it? Thank you…….love your blog so much!! Oh thank you Kathryn! The rug is from RugsUSA and is the Sierra Paddle rug. Yes I did paint the end tables, they were originally from Bombay company and where a cream shabby chic color. I used white semi-gloss Rustoleum paint that you can find at any home improvement store premixed on the shelves. You can use water-based or oil-based. I’ve been feeling neutrals lately too. 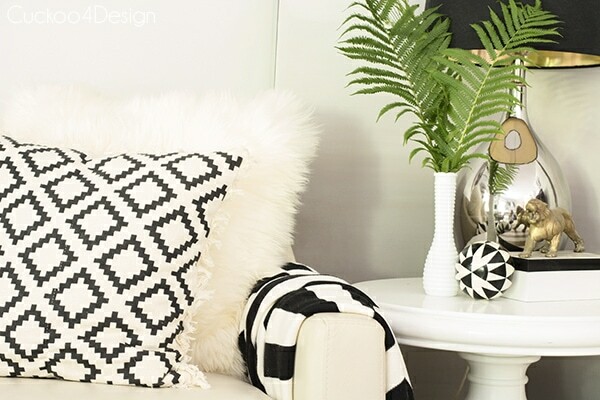 Loving the black and white throw down happening in your living room right now! I liked the emerald green look you did before too. I cannot get over green. Thanks Amber, I love emerald too. Haha thanks and yes, it is an addiction but a good one to have I think. I love the idea of neutrals for summer! So fresh! Looks great as always Julia!! 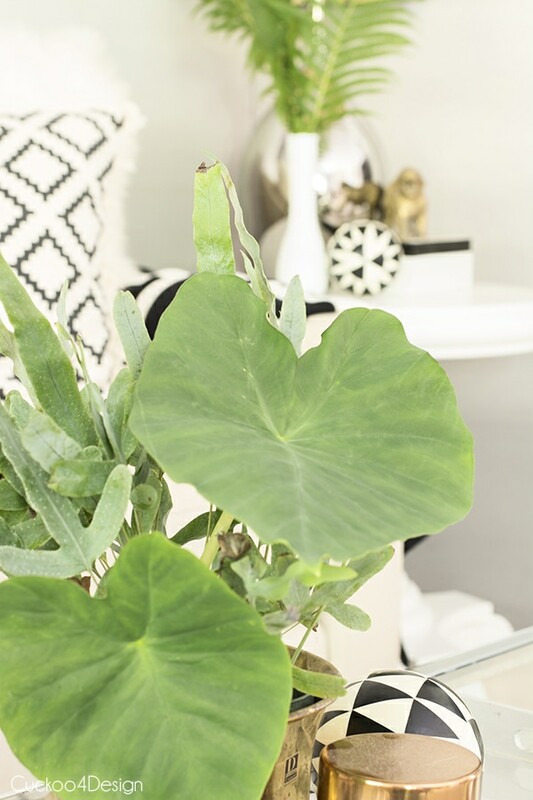 I love your use of color, but you are right…something about all those neutrals with the pop of the green from the leaves is so beautiful and perfect for summer. I need to switch things up in my living room more often. It is such an easy way to make a space feel fresh and new! Thanks for the inspiration Julia! It all looks so beautiful Julia!! 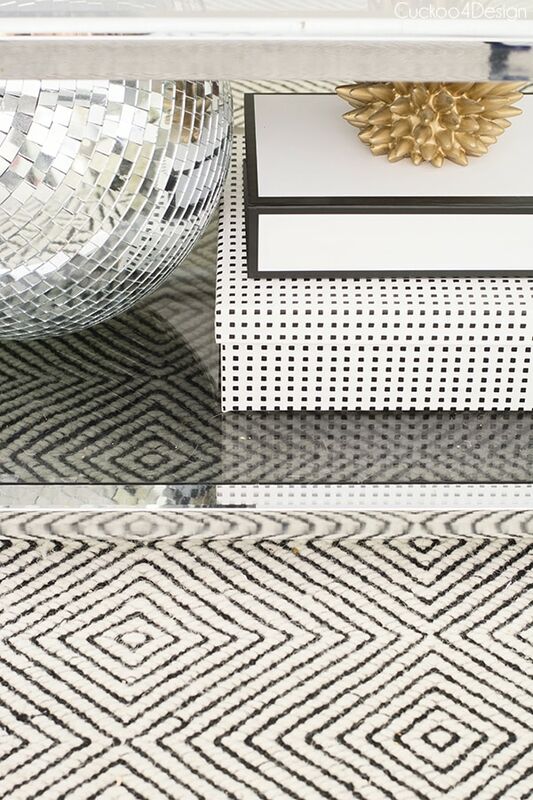 I love the black and white and neutrals, Julia! I absolutely love when you share pics of how your living room changes through the seasons! The black and white just looks beautiful! I also love the greenery everywhere. Your style is always so refreshing. Love the neutral look! Your living room is beautiful! 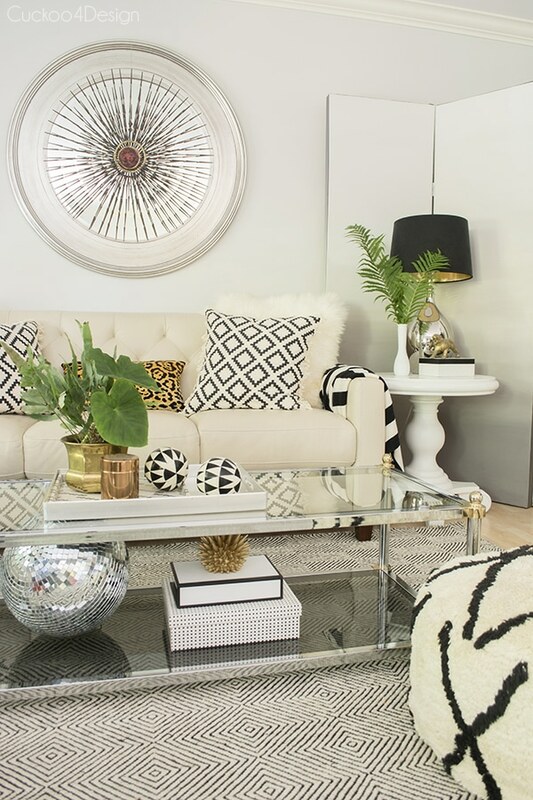 Julia, I am in love with your neutral living room! Seriously, it is so beautiful! 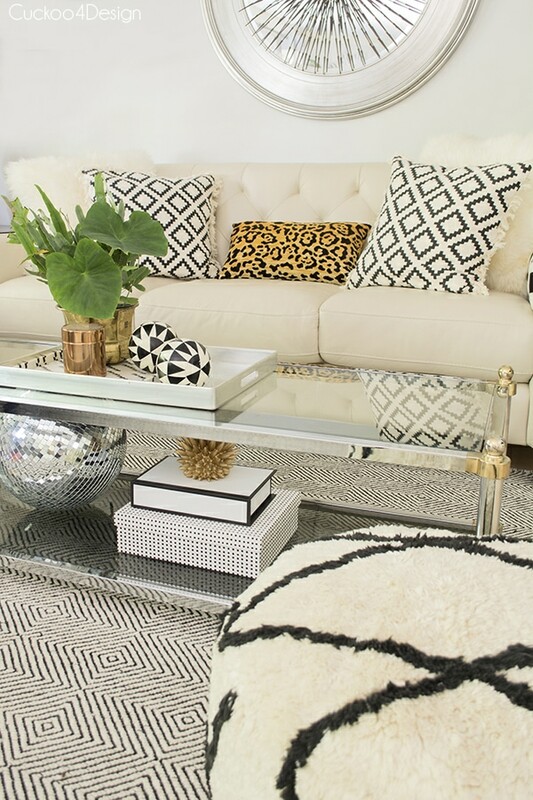 You and Kristin have me itching for neutrals in my next house when I’ve planned so much color! Thanks so much my friend. I don’t know what it is right now, maybe my new floor or looking at all the beautiful neutrals at the beach scenery but I just can’t stop gravitating towards neutrals. 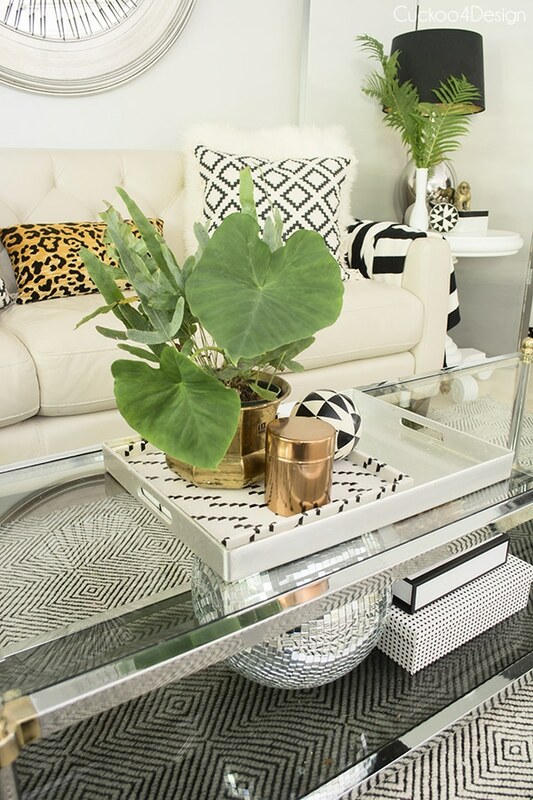 I just love your neutral summertime living room. It looks fabulous! 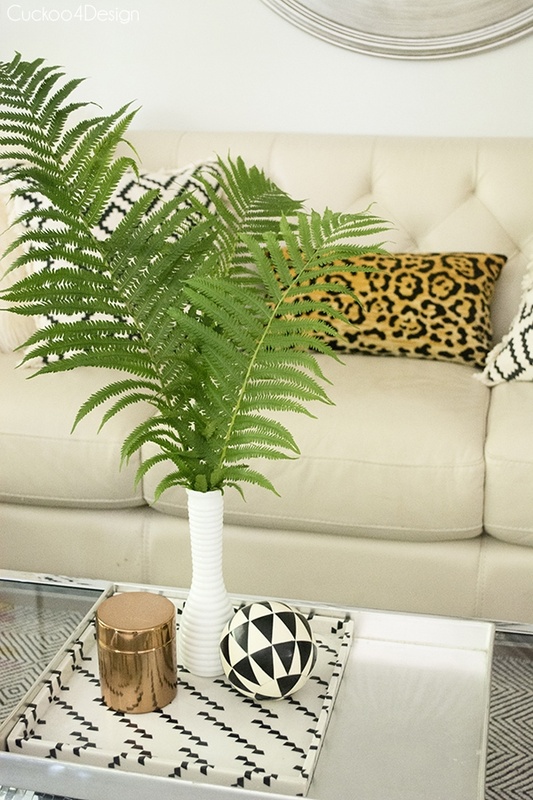 The fern clippings are a perfect addition and they pop against the neutral background. I must do this in the future. Lovely space! I like the idea of neutral base so you can easily change decorations! Beautiful room Julia! Love the colors and all the details. Fabulous!!! 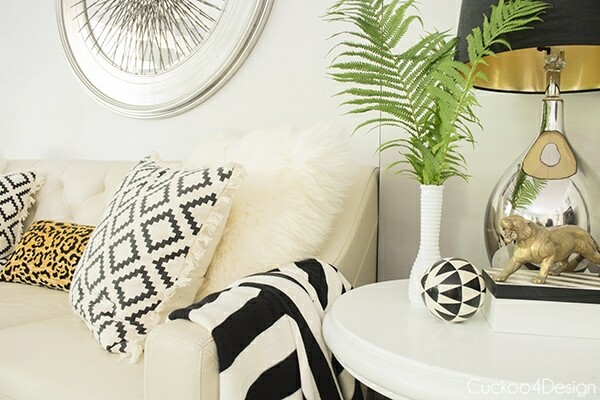 How do you keep your white sofa clean? 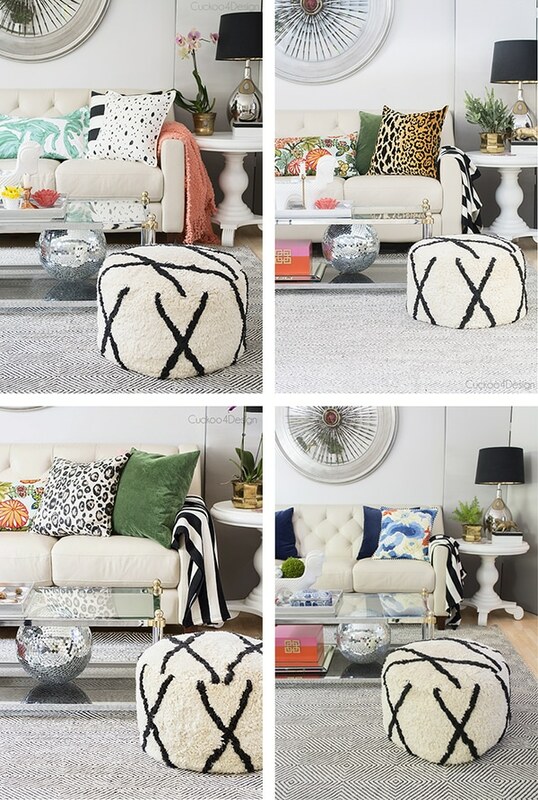 Are the cushion covers washable? Hey, soooo sorry if you’ve answered this already but what brand exactly is your coffee table? I’m in love with this look!